The Chronicle, May 4th 1977, by Chronicle Reporter, on front page: “Marshall Baron dies”. MR. MARSHALL BARON, attorney, artist, music lover and scholar, died at his Bulawayo home yesterday. He was 42. His father, Mr. Ben Baron, said he was with him when he died. He had been unwell for several days. Mr. Baron was born in Bulawayo and educated at Milton Junior School, Milton High School and the University of Cape Town. As an attorney he frequently appeared on behalf of the Bulawayo Asian and Coloured Association. 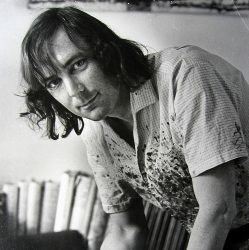 As an artist he often exhibited in the city and in South Africa, and in January last year he was elected chairman of the Rhodesian Society of Artists. As a music-lover, he wrote critiques in The Chronicle for many years. He was awarded a Beit bursary, the Rhodes Trustees Literary Prize for an essay on Sibelius and a Scholarship by Skowhegan School of Painting and Sculpture, Maine, USA. A member of the Centre Party, he later stood as an independent candidate for the Matobo constituency at the 1974 general election. Mr. Baron was an outspoken critic of racial discrimination and frequently attacked segregation in Rhodesian schools. He had three sisters, one in Israel, one in America and one in Britain. Among the organizations with which he was associated were the Musical Appreciation club, Bulawayo Harriers, the National Music Camp Association, and the Bulawayo branch of the African Education Assistance Fund. Rhodesia Herald, Salisbury, May 5th, 1977, “Baron’s death deep loss to Rhodesian art”. MARSHALL BARON, one of Rhodesia’s finest artists, died in Bulawayo on Tuesday. He will be deeply missed, particularly in Bulawayo, where he played an active role in promoting the visual arts and was well known in musical circles, writes Marion Arnold. Mr. Baron studied law at Cape Town University and practiced in Bulawayo. In 1966 he was awarded a scholarship by the Skowhegan School of Painting and Sculpture and he subsequently studied painting in America and exhibited at the State Fair, Skowhegan, Maine in 1968. 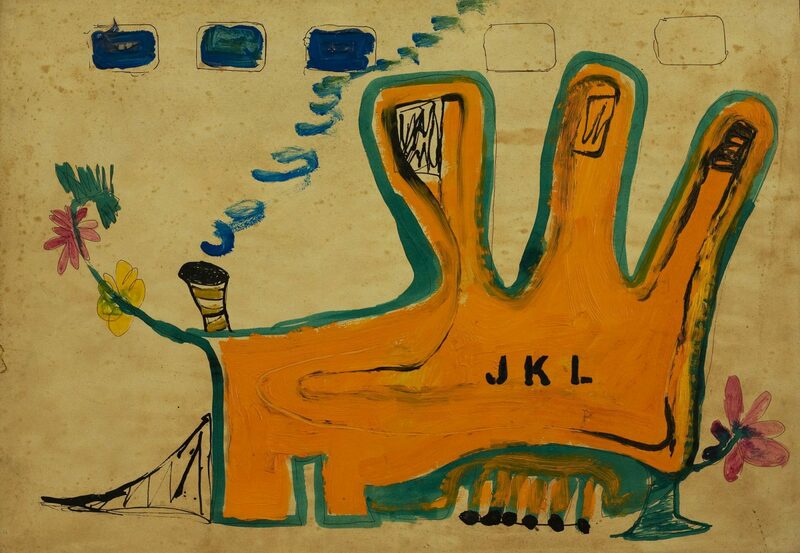 He held many one-man shows in South Africa and participated in national annual exhibitions and in the Rhodesian Society of Artists annual exhibitions. He was a founder member and former chairman of the Society. Mr. Baron’s abstract expressionist paintings injected a provocative and experimental note into all exhibitions. Misunderstood by the public at large, his work is held in high esteem by those knowledgeable about contemporary art. Seven of his paintings are currently on exhibition at the eighth RSA exhibition at Bulawayo Art Gallery and will be seen in Salisbury when the exhibition opens here at the end of May. When I visited Bulawayo last week and gave a critique on the exhibition, I praised Marshall Baron’s work highly. He was working with great assurance and producing richly-coloured canvases. I believe we have lost one of our best and most committed painters. 4th May, 1977, prior to commencing the meeting of The Rhodesian Society of Artists. Think of him as a most gentle gentleman. We will remember Marshall always and in that very act of remembering his spirit will be with us. Death is not the end. His influence will move alongside our thoughts and will help us in our future planning and activities. May we hope that the collective thoughts will be transmitted in some way at this moment to Marshall’s parents and his relatives and bring them some of the courage and fortitude that they will so surely be needing. We all know that Marshall would not wish us to waiver in any of our endeavours or stay our hand in any way, and that is why I suggest the we continue this evening in the manner planned.